Attracting quality talent is vital to every organization’s success. But it’s also harder than ever given the talent drought. 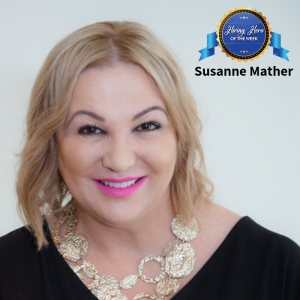 That’s why Susanne Mather is this week’s Hero of Hiring. Susanne is helping employers across the globe improve how they attract and retain people. She’s the Executive Director of Australian firm Employment Office, a company that helps employers improvement their recruitment process especially in the areas of attraction strategy, candidate screening, and talent management. Her work over the past 17 years has helped hundreds of organizations land and retain thousands of talented employees. Susanne is also the Editor of Recruitment Marketing Magazine, a digital publication focused on improving recruitment marketing and employer branding strategy. Thank you Susanne for the heroic work you do each day. You can connect with Susanne on LinkedIn and Twitter. Be sure to also sign up for Recruitment Marketing Magazine. We’ve all heard it said that a company’s most important asset is its people. When we say we love a company, what we’re really saying is we love the work being done by the exceptional people in these organizations. Talented employees who do outstanding work are the secret ingredients that make their companies great. That’s why recruiting and hiring is so important. Each person involved in the hiring process is influencing the future of their company. These individuals are also impacting one of the most important aspects of people’s lives—their careers. The individuals who play a role in the hiring process are changing companies and lives, making hiring a heroic act. The hiring heroism of a select group of people goes above and beyond. These unsung hiring heroes are making a lasting difference on a grand scale. 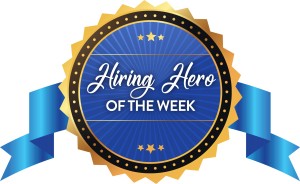 That’s the reason for this distinction—the Hiring Hero of the Week. The hope in bestowing this honor is that people across the globe can celebrate and learn from these truly amazing human beings.